Join the conversation on #whatisschool this Thursday October 2 at 7PM EDT (Friday 9am AEST, 12pm NZT, 7am Singapore) as we discuss being a connected educator in a 21st Century Learning Environment. October is Connected Educator month and #whatisschool is proud to be a part of it! Sadly this week, Craig and Laura are away engaging with their PLN. Laura is on the road engaging with schools with her book series and Craig is in Manila running some Professional Development sessions and taking part in the South East Asia Google Teacher Academy Programme. They will be back next week and ready to roar, but in the meantime they have engaged the amazing Mark Weston (@shiftparadigm) and #aussieED’s Brett Salaksas (@MRsalakas). What makes parents tick? Get students engaged? Helps teachers foster learning and keeps administrators informed? Simple communication that used to be accomplished by a conversation, phone call or meeting isn’t so simple anymore. As we speed into the digital age parents, students, teachers and administrators have more choices on how to connect than ever before…and in some cases it is making them more disconnected than they ever were! 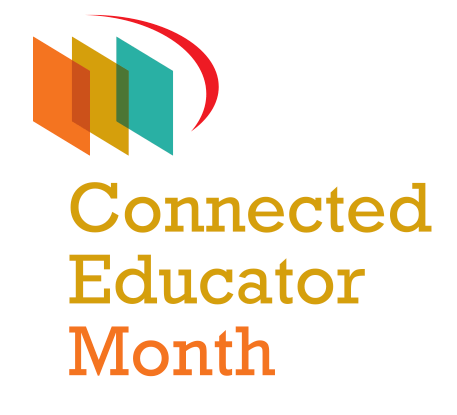 Join us as #whatisschool celebrates connected educator month by exploring the best, and the worst ways to connect with stakeholders, peers and the ones who rely on you most, your students. In our special connected edition of #whatisschool Gold Star innovator Mark Weston and #AussieED creator Brett Salakas will be bringing their expertise and powerhouse connecting skills as guest co-moderators of this week’s #whatisschool chat. Don’t miss it! Q1) Communication in a digital age is the most important skill students can learn for success, how can you foster & model these skills? Q2) In what ways do you let your students tell their story in the scholastic community & the digital arena? Q3) How can students build their communication skills through real life experience tied into the curriculum, will this help them succeed? Q4) What benefit does real world feedback provide to students, teachers? Q5) How can communication be re-imagined to create beneficial opportunities in the classroom? Q6) As a connected community, what tools can we bring to the classroom to best serve each other, parents, administrators & students?